AIDS stands for acquired immunodeficiency syndrome, and is also called acquired immune deficiency syndrome. 1) Acute infection, or acute retroviral syndrome, which can produce flu-like symptoms in the first month after infection. 2) Clinical latency, or asymptomatic HIV infection, in which HIV reproduces at lower levels. 3) AIDS, in which the amount of CD4 cells fall below 200 cells per cubic millimeter of blood (as opposed to the normal level of 500-1,500). 35.3 million – Number of people living with HIV/AIDS worldwide in 2012. 2.3 million – New infections worldwide in 2012. 260,000 – New infections in children worldwide in 2012. 1.6 million – AIDS-related deaths worldwide in 2012. 70.8% of the world’s people living with HIV/AIDS live in Sub-Saharan Africa; an estimated 1.6 million people were newly infected with HIV/AIDS in 2012. Sub-Saharan Africa is comprised of the following countries: Angola, Benin, Botswana, Burkina Faso, Burundi, Cameroon, Cape Verde, Central African Republic, Chad, Comoros, Democratic Republic of the Congo, Ivory Coast, Djibouti, Equatorial Guinea, Eritrea, Ethiopia, Gabon, The Gambia, Ghana, Guinea, Guinea-Bissau, Kenya, Lesotho, Liberia, Madagascar, Malawi, Mali, Mauritania, Mauritius, Mozambique, Namibia, Niger, Nigeria, Republic of the Congo, Rwanda, Sao Tome and Principe, Senegal, Seychelles, Sierra Leone, Somalia, South Africa, Sudan, South Sudan, Swaziland, Tanzania, Togo, Uganda, Zambia and Zimbabwe. 1982 – Disease adopts the name AIDS. 1983 – French and American researchers determine that AIDS is caused by HIV. 1985 – Blood tests to detect HIV are developed. December 1, 1988 – First World AIDS Day. 1999 – Researchers in the United States find evidence that HIV-1 most likely originated in a population of chimpanzees in West Africa. The virus appears to have been transmitted to people who hunted, butchered and consumed the chimpanzees for food. January 29, 2003 – In his State of the Union speech, President George W. Bush promises to dramatically increase funding to fight HIV/AIDS in Africa. May 27, 2003 – President Bush signs H.R. 1298, the U.S. Leadership Against HIV/AIDS, Tuberculosis and Malaria Act of 2003, also known as PEPFAR (The U.S. President’s Emergency Plan for AIDS Relief), that provides $15 billion over the next five years to fight HIV/AIDS, tuberculosis and malaria abroad, particularly in Africa. July 30, 2008 – H.R. 5501, The Tom Lantos and Henry J. Hyde United States Global Leadership Against HIV/AIDS, Tuberculosis, and Malaria Reauthorization Act of 2008, becomes law and authorizes up to $48 billion to combat global HIV/AIDS, tuberculosis and malaria. Through 2013, PEPFAR plans to work in partnership with host nations to support treatment for at least four million people, prevention of 12 million new infections and care for 12 million people. 2011 – The United Nations announces that the overall number of new HIV infections has decreased by 20% in the past decade. October 2011 – In his book, “The Origins of AIDS,” Dr. Jacques Pepin traces the emergence and subsequent development of HIV/AIDS to suggest that initial AIDS outbreaks began earlier than previously believed. 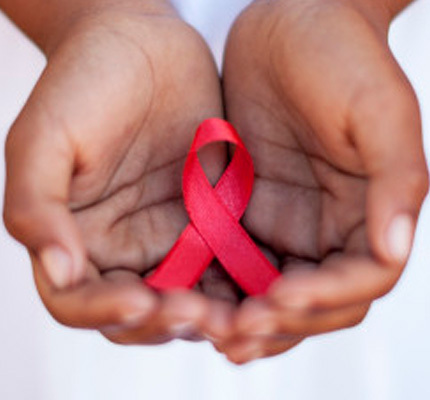 September 30, 2012 – According to PEPFAR’s website, the law has supported life-saving antiretroviral treatment for approximately 5.1 million men, women and children since 2003. July 2012 – PEPFAR announces its latest results: the program is supporting 4.5 million people on treatment and has donated more than $7.1 billion to the Global Fund to Fight HIV/AIDS, Tuberculosis and Malaria. July 24, 2012 – Doctors announce during the 19th International AIDS Conference that Timothy Ray Brown, known as the Berlin patient, has been “cured” of HIV. Brown, diagnosed with leukemia, underwent a bone marrow transplant in 2007 using marrow from a donor with an HIV-resistant mutation. He no longer has detectable HIV. March 3, 2013 – Researchers announce that a baby born infected with HIV has been “functionally cured.” The child, born in Mississippi, was given high doses of antiretroviral drugs within 30 hours of being born. Two years later, doctors were unable to detect evidence of HIV in the child’s blood. June 18, 2013 – Marking the 10th anniversary of PEPFAR, Secretary John F. Kerry announces that the millionth child has been born HIV-free due to prevention of mother-to-child transmission programs (PMTCT). March 14, 2014 – The CDC reports on a case of likely female-to-female HIV transmission. Unlike previous announcements of other cases involving female-to-female transmission, this case excludes additional risk factors for HIV transmission. July 10, 2014 – A Mississippi baby, declared to be “functionally cured” of HIV in 2013, now has detectable levels of the virus in her blood, 27 months after being taken off antiretroviral drugs, according to scientists involved with her case.